Drafted Help Documentation - What permissions am I giving to Drafted when I connect Google and LinkedIn? All Categories ​>​ Data Security ​>​ What permissions am I giving to Drafted when I connect Google and LinkedIn? What permissions am I giving to Drafted when I connect Google and LinkedIn? 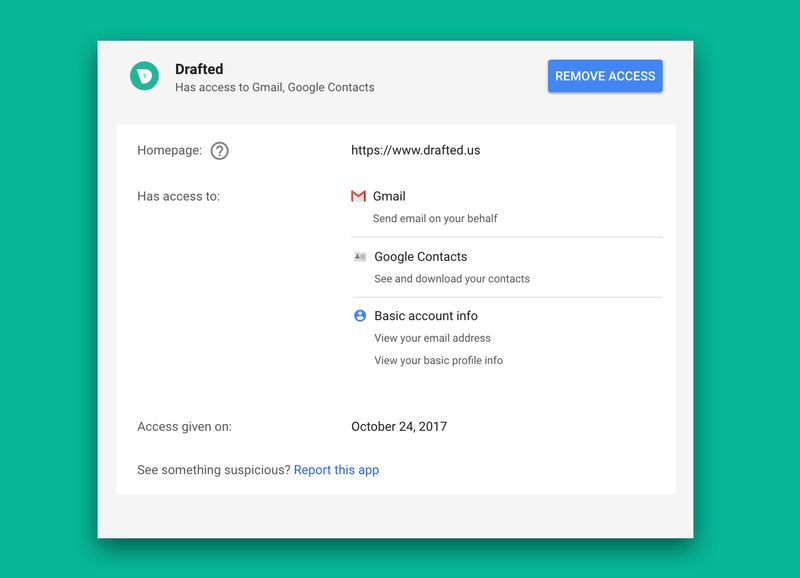 Google Contacts Integration You are giving Drafted permission to read your Google Contact book (including people you have emailed). 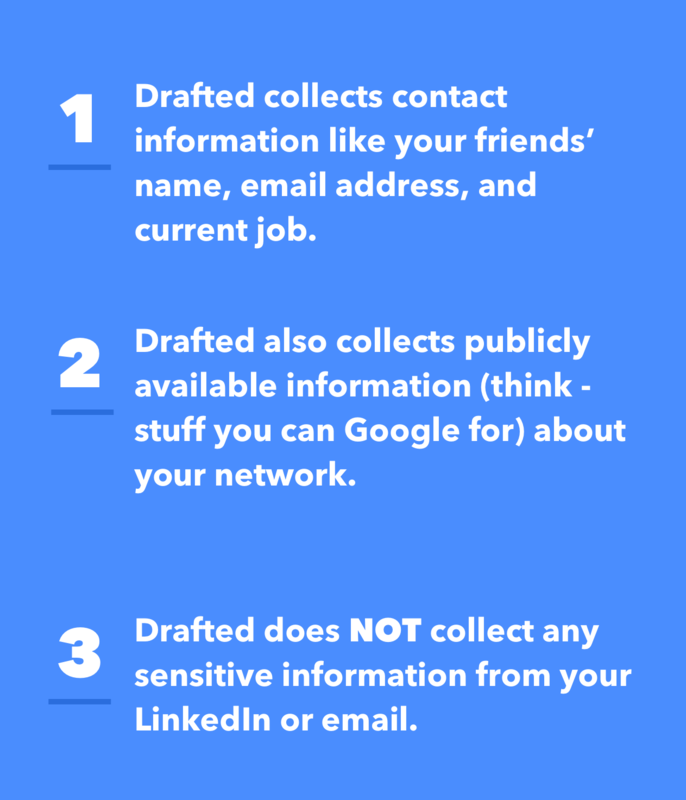 Drafted does not have permission to read any of your emails or send emails on your behalf. Google Inbox Integration You are giving Drafted permission to send emails on your behalf. Drafted does not have permission to ready any emails. LinkedIn Contact Import Drafted does not ask for any permissions from LinkedIn because it is a manual import of information. The only information Drafted collects from this file is the name, email, and current job of your first-degree connections.